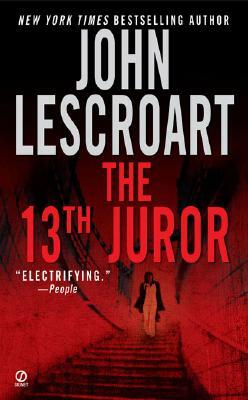 In John T. Lescroart's brilliant new novel, The 13th Juror, Dismas Hardy, lawyer/investigator, undertakes the defense of Jennifer Witt, accused of murdering her husband and their eight-year-old son as well as her first husband, who had died nine years earlier from an apparent drug overdose. While preparing his case, Hardy learns that both of Jennifer's husbands had physically abused her. But Jennifer refuses to allow a defense that presumes her guilt. She is not guilty, she claims. Hardy is now driven to seek an alternative truth a jury can believe. As the trial progresses, the complex truth itself begins to change, to bend, to fade in and out of focus as the clock keeps ticking on Jennifer's fate, until there seems only one person left to convince, and she is "the 13th juror"—the judge. The 13th Juror is a stunning and suspenseful novel of moral ambiguity, of good intentions, bad judgements and the tortuous path to ultimate justice. "I double-dare you to begin reading John T. Lescroart's new suspense trial novel and put it down....This one is on the money." "Compelling...The power of the book lies in Lescroart's impeccable accumulation of detail." "Unusual in his ability to combine courthouse scenes with action sequences, judicial puzzles and dimensional people, Mr. Lescroart produces a full house of well-drawn characters. The many subplots, social issues and legal maneuvers of The 13th Juror, come together in a fast-paced text that sustains interest to the very end."